9 Hereford is located on the west side of Hereford, between Beacon and Marlborough, with 7 Hereford to the north and 11 Hereford to the south. 9 Hereford was designed by Alfred S. Bither, architect, and built in 1879-1880 by Edward E. Chapin, mason, for real estate dealer Henry Whitwell on land owned by his brother and partner, Samuel Horatio Whitwell, one of four contiguous houses (435 Beacon and 7-9-11 Hereford) built for speculative sale. Henry Whitwell is shown as the owner on the original building permit applications for 435 Beacon and 7-9-11 Hereford (one application for three houses), both dated December 13, 1879. Click here for an index to the deeds for 9 Hereford, and click here for further information on the land on the south side of Beacon between Hereford and Massachusetts Avenue. On November 1, 1880, 9 Hereford was purchased from Samuel Whitwell by Elizabeth Metcalf (Smith) Tolman, the widow of merchant tailor James Tolman. She previously had lived at 7 Upton. Her daughter, Harriet Smith Tolman, lived with her. During the 1889-1890 winter season, Elizabeth Tolman was living elsewhere and 9 Hereford was the home of William Albert Dietrich (called Dietrick in the Blue Books) and his wife, Ellen (Nellie) Virginia (Battelle) Dietrich. By the next season, they had moved to 160 Newbury. By the 1890-1891 winter season, Elizabeth Tolman was living at 9 Hereford again, and continued to live there until her death in January of 1891. 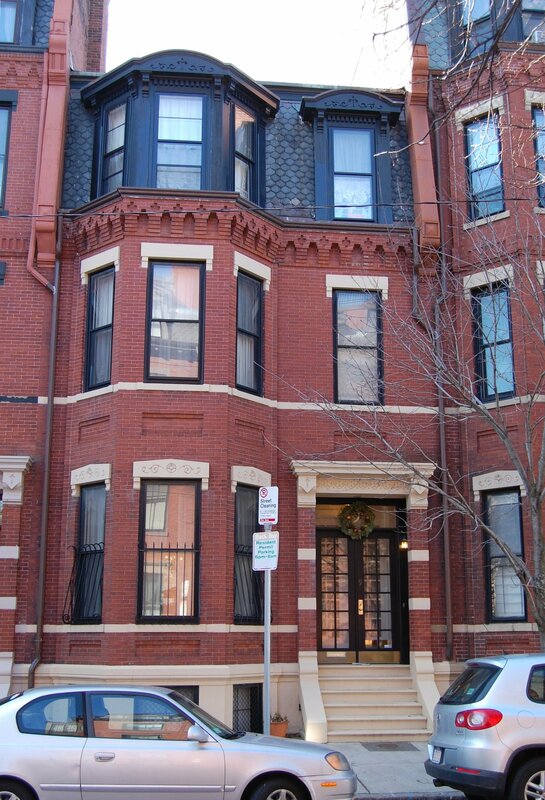 9 Hereford was inherited by her two surviving children, Harriet Tolman and James Pike Tolman. On February 11, 1891, James Tolman transferred his interest in the property to his sister. Harriet Tolman, probably continued to live at 9 Hereford. During the 1891-1892 winter season, she was joined by James Tolman and his wife, Mary Elizabeth (Chace) Cheney Tolman. He was cord and rope manufacturer. They previously had lived in West Newton. By the next season were living there once again and Harriet Tolman was living at 195 Huntington. On August 15, 1892, 9 Hereford was purchased from Harriet Tolman by Augusta Maria (Denny) Tyler, the widow of Dr. John E. Tyler. Her sister, Miss Mary Harriet Denny, lived with her. They previously had lived at 42 West Cedar. In 1894, they were joined by their brother, wool merchant Robert Breck Denny, and his wife, Valeria Kendall (Titcomb) Denny. 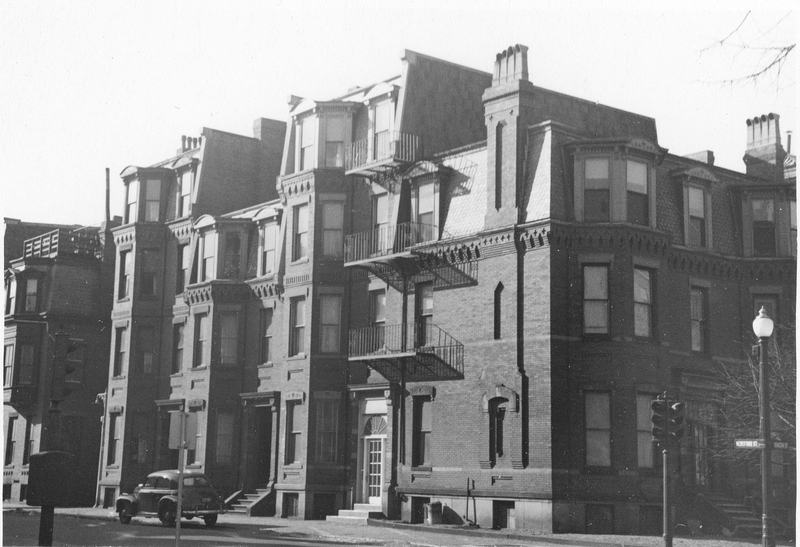 They previously had lived in Allston and by 1895 had moved to 42 Mt. Vernon. Augusta Tyler and Mary Denny continued to live at 9 Hereford during the 1895-1896 season, but moved thereafter. By the 1896-1897 winter season, 9 Hereford was the home of attorney Leverett Saltonstall Tuckerman and his wife, Grace (Richardson) Tuckerman. They had married in September of 1896 and 9 Hereford probably was their first home together. Initially, the Tuckermans leased 9 Hereford from Augusta Tyler, but on May 31, 1899, he purchased the property from her. At the time of the transaction, she was a resident of South Berwick, Maine. Leverett Tuckerman died in March of 1917. Grace Tuckerman continued to live at 9 Hereford. She also maintained a home in Nahant. During the 1923-1924 and 1924-1925 winter seasons, she was traveling abroad. 9 Hereford was leased for the 1923-1924 season by Mary E. (Coleman) Hall, the widow of George Franklin Hall, and their daughter, Margaret Hall. They also maintained a home in North Cohasset. On December 5, 1923, Mary Hall was struck and killed by an automobile at the corner of Commonwealth and Dartmouth. During the 1924-1925 season, it was the home of Anita (Tone) Potts, the widow of Rockhill Brevoort Potts. By the next season, she had moved to 4 West Hill Place. Grace Tuckerman resumed living at 9 Hereford for the 1925-1926 winter season, but moved thereafter to an apartment at 250 Beacon. During the 1926-1927 winter season, 9 Hereford was the home of Ethel (Whiting) Otis, widow of Herbert Foster Otis, and their adult children, James and Mary. 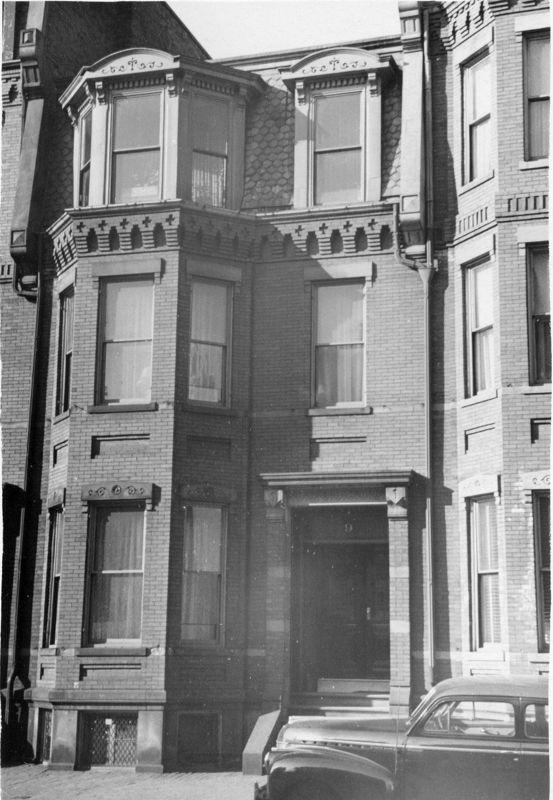 Ethel and Mary Otis previously had lived in Brookline; James Otis, a lawyer with the Boston Safe Deposit & Trust Company, had lived at the Tennis & Racquet Club at 939 Boylston. By the 1927-1928 season, Ethel and Mary Otis had moved to 13 Gloucester, and James Otis probably was once again living at the Tennis & Racquet Club (where he was living at the time of the 1930 US Census). 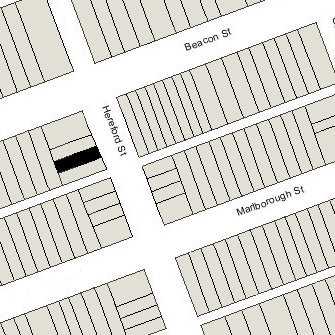 By the 1930-1931 winter season, they all were living at 239 Marlborough. On July 28, 1927, 9 Hereford was purchased from Grace Tuckerman by Blanche Matilde (Hight) Bancroft, the wife of Charles Gray Bancroft. They also maintained a home in Framingham. Charles Bancroft was an attorney. From the late 1920s, he was president of the Porto Rico Sales Corporation and by the early 1930s also was vice president and treasurer of the United Shoe Machinery Corporation. They continued to live at 9 Hereford until about 1934, when they made Framingham their year-round home. They continued to own 9 Hereford and lease it to others. By the 1934-1935 winter season, it was the home of insurance broker Herbert Bramwell Shaw and his wife, Frances (Fairchild) Shaw. They previously had lived at 241 Beacon. They continued to live at 9 Hereford until about 1941, when they moved to Needham. On October 28, 1941, 9 Hereford was purchased from Blanche Bancroft by John E. Kennedy and his wife, Mary Langley (Morrison) Kennedy. Mary Kennedy’s mother, Mary (Ruby) Morrison, the widow of architect William Langley Morrison, lived with them. They all previously had lived at 279 Dartmouth. John Kennedy was an advertising agency executive. Mary Morrison Kennedy was an architect and interior designer. She operated an interior decorator’s studio at 277 Dartmouth; in the 1940s, she joined the Sheraton Corporation and, according to her June 7, 1989, obituary in the New York Times, “for almost thirty years was in charge of interior design for the 45 hotel chain.” Her mother, Mary (Ruby) Morrison, operated an import and dressmaking shop, also at 277 Dartmouth. Mary (Ruby) Morrison died in January of 1949. John and Mary Kennedy continued to live at 9 Hereford. In May of 1963, they filed for (and subsequently received) permission to convert 9 Hereford from a single-family dwelling into a three-family dwelling. John Kennedy died in August of 1981 and Mary Kennedy died in June of 1989. On June 3, 1991, 9 Hereford was acquired from the Kennedys’ daughters – Anne (Kennedy) O’Neil, the wife of James M. O’Neil, and Ailsa (Kennedy) Steinert, the wife of Russell Curtis Steinert – by Robert E. Brooker. On March 26, 1993, he transferred the property into his name and that of his wife, Razan A. Brooker. In September of 1997, 9 Hereford was purchased from the Brookers by Alice D. Murphy, the wife of William Bancroft. In December of 1997, she filed for (and subsequently received) permission to convert the property from a three-family dwelling back into a single-family dwelling. 9 Hereford remained a single-family dwelling in 2017.